Craig focuses his attention on the day-to-day management of both HireNetworks and Campbell & James Executive Search. Before founding HireNetworks in April of 2001, Craig spent three years as VP/COO of the DC-based recruiting firm Edgesource. Prior to this, he spent six years at IBM serving in several roles including analyst, software sales consultant and manager of the company’s mobile and wireless group. As a regional investor, Craig stays engaged in the entrepreneurial experience with the value of his network. He is an investor in the Atlantis Group angel fund, Southern Capitol Ventures, Bull City Ventures and co-founded, Triangle Angel Partners (TAP). He has recently served as Chairman Triangle Technology Executives Council (TTEC), is currently on Elon University’s Entrepreneurship board, an active member on the board of directors for the non-profit organizations Hope International and the Council for Entrepreneurial Development (CED). Craig is also a regular speaker and mentor on the topics of careers, recruiting, angel investing and entrepreneurship. 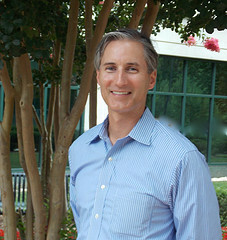 Craig played college and professional tennis and holds an Accounting degree from Elon University. He resides in Raleigh with his wife Stephanie and their four boys.